Situated in rural Cheshire and benefiting from wonderful views across the local countryside, the Pheasant Inn offers four star accommodation, superb food, fine ales and well chosen wines. Welcome to Oddfellows in Chester. Our Grade II listed building has been transformed - but not forgotten - into a venue of great style, sophistication, design and opulence. 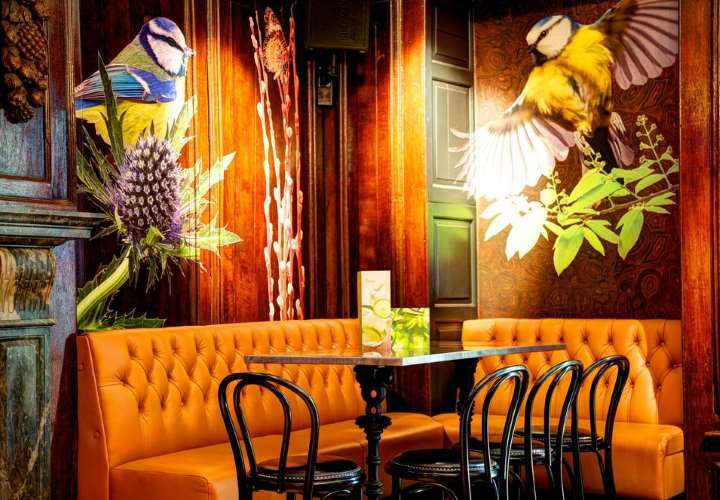 Our quirky hotel boasts 18 sumptuous bedrooms, private dining rooms, buzzing lounge bar, secret courtyard garden and The Garden by Simon Radley restaurant. In the heart of Chester, minutes from the River Dee, the centre and the shops, you will find a truly unique hotel experience. Dating from 1155 and reputedly the oldest licensed inn in Chester, The Pied Bull is situated within the walls of the historic Roman city. Today the interior reflects its distinctive heritage and haunted past. The Inn also houses an original handmade staircase dating from 1533. All rooms are comfortably furnished with en-suite facilities. Free internet use is available as well as limited car parking (please ask for details and availability). 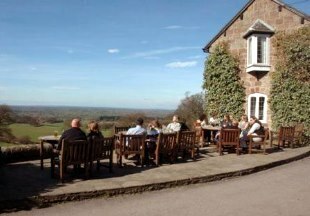 Superbly situated along the Gritstone Trail in the rolling hills of the Cheshire countryside, the Ryles Arms is renowned for quality homemade food, real ales and fine wines. The surrounding views are breathtaking - a favourite starting point for walkers and the perfect place for meeting friends, dining out in our award winning restaurant, hosting a family party or taking a short break in our luxury en-suite accommodation. 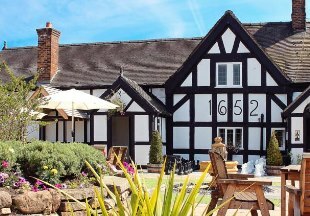 This delightful half timbered Tudor style hotel is set in a tranquil location in eight acres of landscaped gardens yet conveniently situated less than half a mile from J17 of the M6 Motorway. The hotel offers a friendly, comfortable and relaxing stay in any of its 50 well equipped en-suite bedrooms. In addition the Chimney House also boasts an excellent Patio Restaurant with conservatory, lounge and cocktail bar which serves a varied selection of food throughout the day. 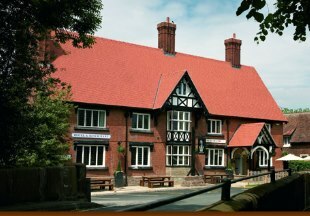 Welcome to the The Bear’s Paw, a delightful 19th century character inn in the picturesque village of Warmingham, in the heart of Cheshire. This charming, yet stylish gastro inn is ideally located between Sandbach, Middlewich and Crewe, and easily accessible from the M6. Our luxurious boutique style bedrooms are the ideal haven for a peaceful nights rest. At The Bear’s Paw we take pride in our home cooked wholesome food. With two open fires, reclaimed antique oak flooring and oak panelled walls, the inn has kept its traditional charming character yet with a stylish contemporary twist. Perfectly situated just 5 minutes drive from Junction 16 of the M6, the Grade I listed White Lion at Weston offers 17 en-suite bedrooms, great food from classic pub food to a la carte dishes, cask ales, wines and much more. Large car park and gardens. Situated in the pretty village of Willaston on the Wirral, this Grade II listed building boasts oak beams and inglenook fireplaces. 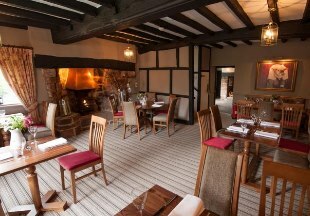 Pollards Inn is conveniently placed less than 10 minutes drive from the M53 and only 20 minutes from Chester. Free Wi-Fi. This beautiful hotel is set in an imaginative conversion of an 17th cenury farmhouse located just a few miles from the M6 and a short drive from Stoke-on-Trent and Crewe. Onsite there is an award-winning restaurant, a country style bar and a heated indoor pool. For those looking for comfort and convience, look no further! 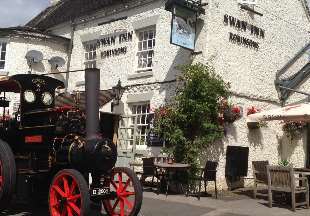 Set in the quaint Cheshire village of Wybunbury, The Swan Inn is a 250 year old pub with all the character; nooks and crannies alongside exposed beams and roaring fires. An English inn with super comfy beds! 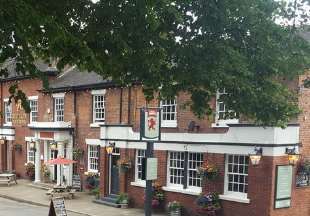 Boasting freshly prepared food and traditional cask ales, The Red Lion is a traditional pub with comfotable rooms. The village of Wybunbury is a historic village named in the Doomsday book and thought to be one of the earliest settlements in Cheshire. 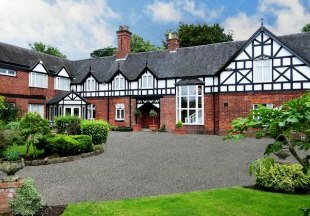 Welcome to our selection of hotels and inns in the beautiful county of Cheshire. This county has much to offer, from the rolling hills in the east to the Roman city of Chester. And of course, crumbly Cheshire cheese comes from here! Cheshire also boasts some glorious Tudor half-timbered buildings, such as the Wild Boar Hotel at Tarporley and the White Lion at Weston. The county is criss-crossed by motorways and many of the Cheshire inns, hotels and pubs listed here are conveniently placed for a stopover or to break a journey. Why stay in a characterless chain hotel when you could be enjoying a warm welcome, relaxing by an open fire with a drink and a hearty meal! 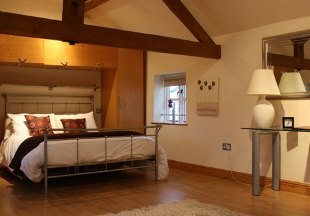 Scroll down to view our handpicked selection of hotels and inns in Cheshire. "Recently voted the 5th prettiest city in Europe, Chester is a must for visitors with its Roman amphitheatre, picturesque riverside and of course The Rows, the famous medieval two-storey galleries of shops. 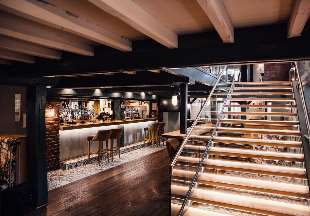 Absorb some of the history of this great city at the 12th century Pied Bull Hotel within the Roman walls, or opt for the luxurious, contemporary boutique experience that is Oddfellows"
Cheshire is bordered by Greater Manchester, Derbyshire, Staffordshire and Shropshire. 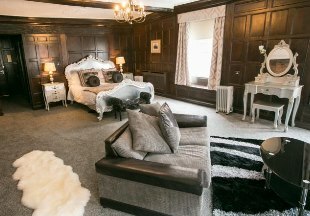 If you want to widen your search, why not browse through our selection of hotels and inns in Greater Manchester, Derbyshire, Staffordshire and hotels in Shropshire.